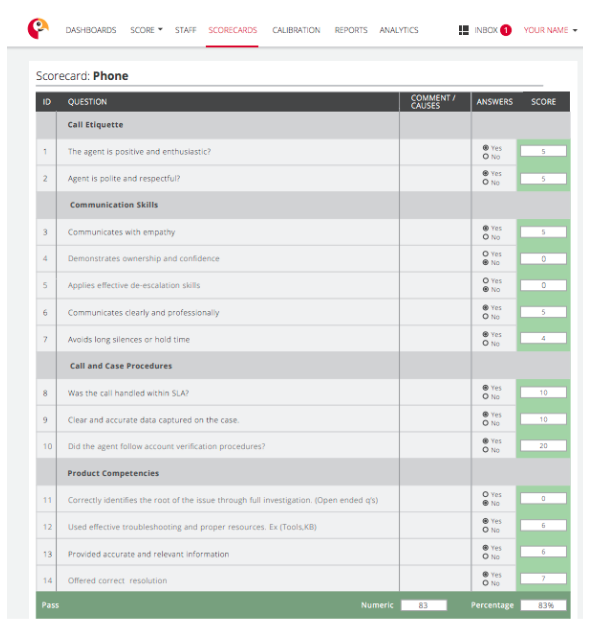 What Is a Quality Assurance Scorecard? Every call center has a different mission. 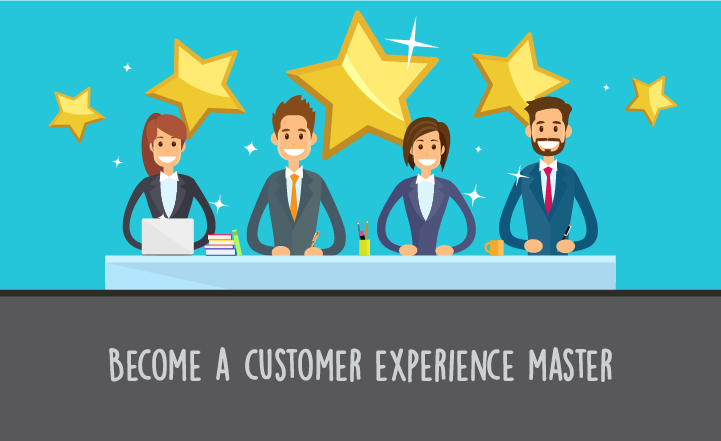 Most fall into two categories, those that are focused on sales or lead generation, and those that are focused on customer service and retention. 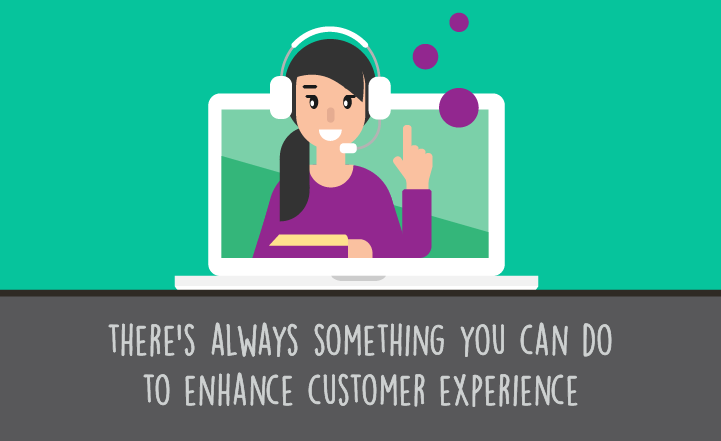 While each business and situation may be unique, every call center needs to have defined criteria for its agents to be measured against, to ensure excellent customer service. This is where a well-designed QA scorecard becomes very important. What is a QA Scorecard? A scorecard is a means of evaluating and grading agents on behaviors and skills. Each customer interaction presents a different set of circumstances, and a well-designed QA scorecard will enable you and your agents to provide the best possible service to your customers. 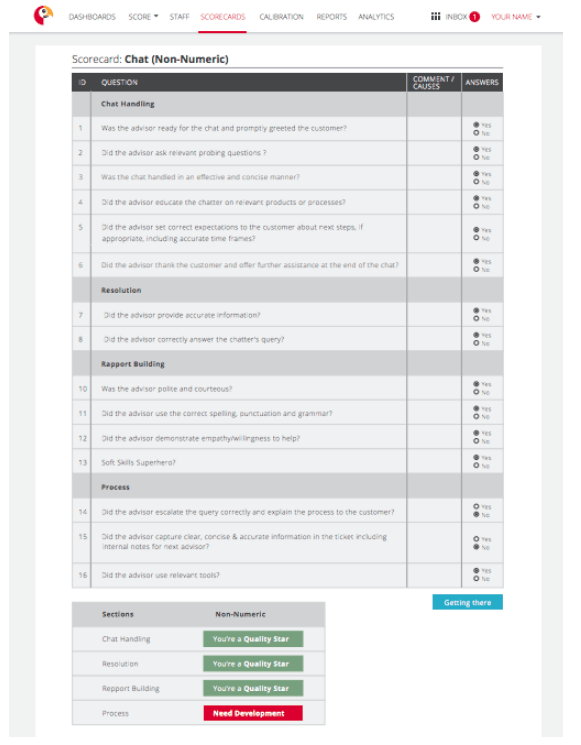 The quality monitoring scorecard provides a grading rubric for your agents to use as a guide, and it is a valuable coaching tool. If your agents’ interactions meet all the criteria on the card, your agents will very likely be more successful, and your customer satisfaction will be much improved. Most customer interactions follow a certain flow. For example, financial customer service centers are required by law to verify that the caller is the correct person. The agent asks questions such as the caller’s address or last four digits of his or her social security number. Then the agent will get to the heart of the customer’s issue by asking probing questions. A scorecard for a phone call should rate the agent on behaviors such as confidence, enthusiasm and following a predetermined procedure. The agent’s skills and abilities should also be considered. Your agents must be able to de-escalate problems efficiently and effectively, so they can move onto other callers, keeping your call volume and labor costs as low as possible. Sometimes being efficient might mean transferring the caller to another department for further assistance or escalating the issue to a supervisor’s attention. In these situations, the scorecard should evaluate the employee on his or her ability to recognize the urgency or special circumstance of this incident. 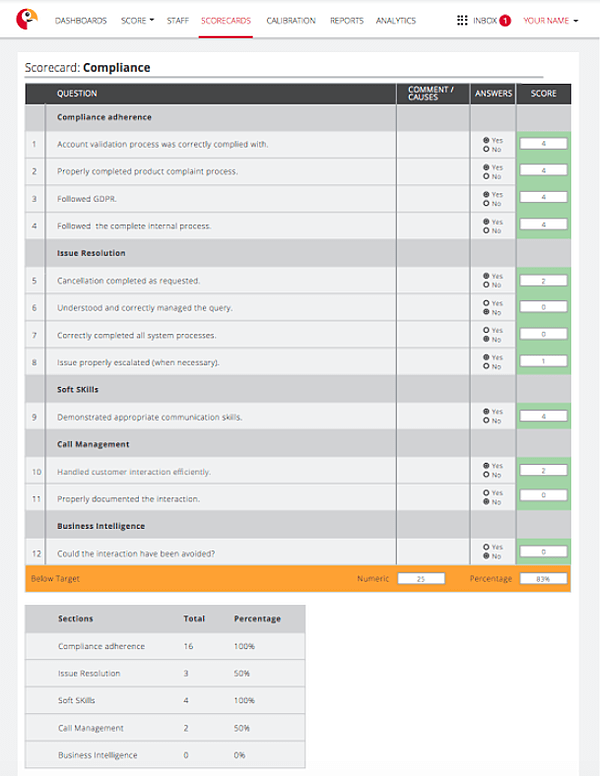 A well-designed, and well-thought-out scorecard will be a tool to help your agents be the best they can be, even in situations where there is a transition to a third party for final remediation. Online chat is an increasingly popular method of customer service. 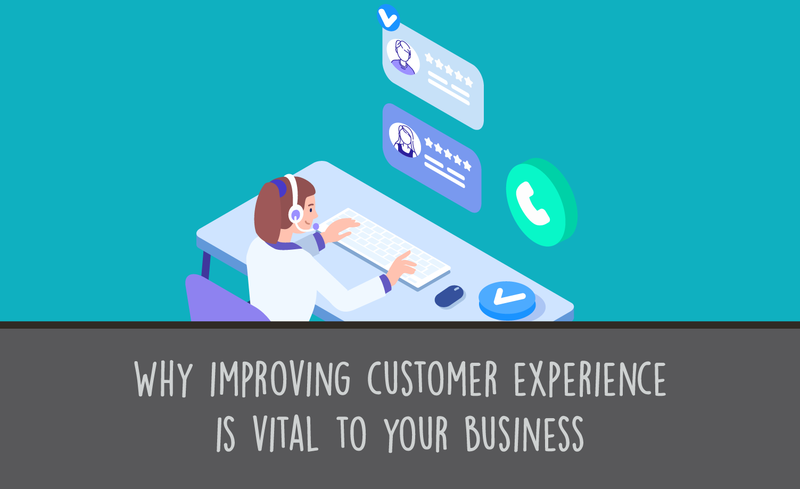 Many customers prefer to use chat rather than talk on the phone, as it combines the speed of a phone call for more immediate remediation while still not requiring them to be actively holding a phone up to their ear. A chat scorecard rates the agent’s quickness to respond as well as his or her compliance to regulatory rules and to using proper grammar. Below is an example of a non-numeric scorecard - with behind-the-scenes numeric values and weightings. The scorecard uses ‘pass’ or ‘fail’ items on a checklist. Your chat agents can be assured to achieve high scores if they adhere to the process and resolve customer problems efficiently. Agents who handle customer service via email have the same goal as phone call agents - customer satisfaction - but they have different circumstances and factors to take into account in their work. Customers who communicate via email cannot hear the agent’s voice, so the agent must be quite clear in his or her writing and stay compliant with applicable laws. There is also a strong desire to try and be comprehensive in solving the issue in as few emails as possible as multiple email communications can create a sense that the agent isn’t ‘putting themselves in the customer's shoes’ and being proactive in predicting future questions, if it’s logical that there might be more in the near future. Regulated industries such as financial services and healthcare have strict guidelines for call centers. Agents must follow regulatory guidelines, such as reading certain scripts before performing tasks like helping a caller apply for a higher credit limit or muting the caller when he or she reads a full credit card number. If your agents do not comply with those rules, your call center can receive hefty fines. A compliance scorecard not only rates the agent on how well he or she follows the rules set forth for your industry, but also how well he or she handles the call itself. 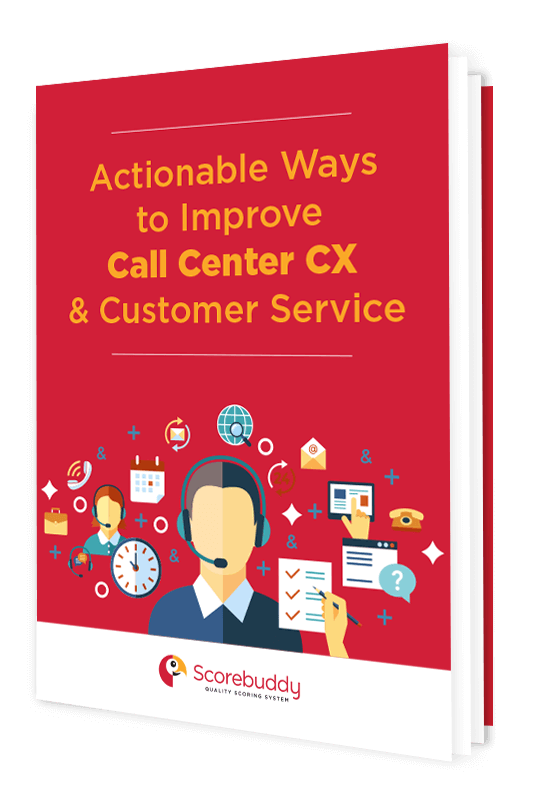 The quality monitoring scorecards you implement offer a tremendous value to your call center. When your agents have a set of guidelines to follow and they use those guidelines on each and every call, customer satisfaction and customer experience goes up. Agents appreciate using scorecards because they get high marks if they follow the criteria set forth and because they have clear guidelines in place. If they follow the behaviors and work from the scripts provided for them, the customer can say almost anything, and the agent will still know how to do their job well. You can assure your agents that if they meet the criteria on the scorecard, they will be successful which alleviates work stress and anxiety. It also makes it easier for you to pinpoint exactly which areas need work to make a more successful, efficient call center.